It can be a challenge finding the perfect activity to make for a fun family day that creates lasting memories, is an educational experience and one that the entire family will enjoy. 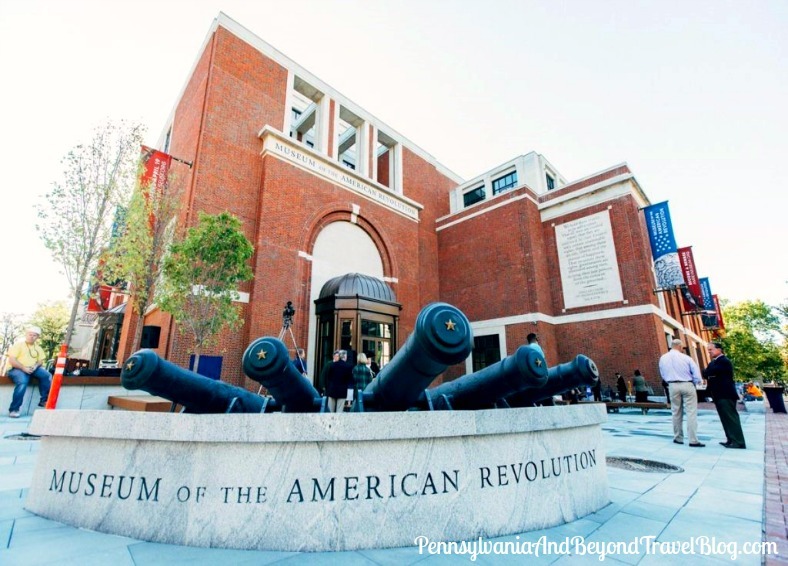 Philadelphia and the surrounding area offers a lot of fun, educational activities and at the top of your list should be a visit to the Museum of the American Revolution. When I was presented with two complimentary tickets to the museum, I knew just who I was going to take. My ten-year-old nephew, Joey. 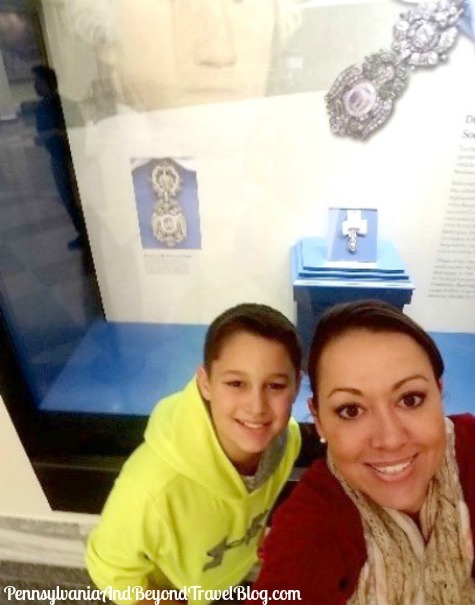 He has a love for American history and is always up for exploring and learning new things. The museum has a collection of several thousand objects, manuscripts, works of art, etc. on display, so I knew it was going to be a busy afternoon. On our drive into the city, I shared some interesting facts along the way, such as the Declaration of Independence being signed in 1776, hence why the highway driving into the city is called “76”. 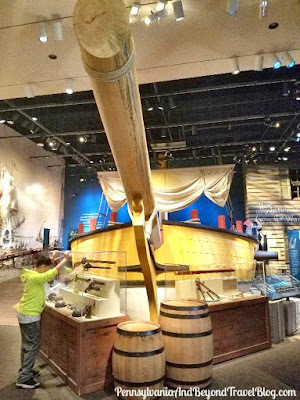 As we continued on with our journey we admired Boathouse row, threw our fist up as we drove past the Rocky Statue outside of the Art Museum, and before we knew it...we pulled up to the American Revolution Museum in Philadelphia’s beautiful Old City. 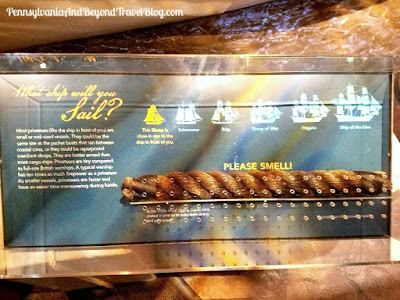 We spent a few hours exploring the museum and all of the exhibits that they had to offer. The amount of history and "wow's" we experienced while at the museum were countless! 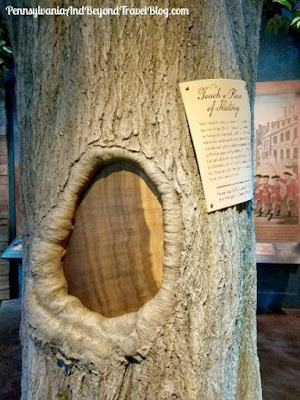 From the Boston Liberty Tree to the Privateer Ship; here’s some details on a few of our favorites. 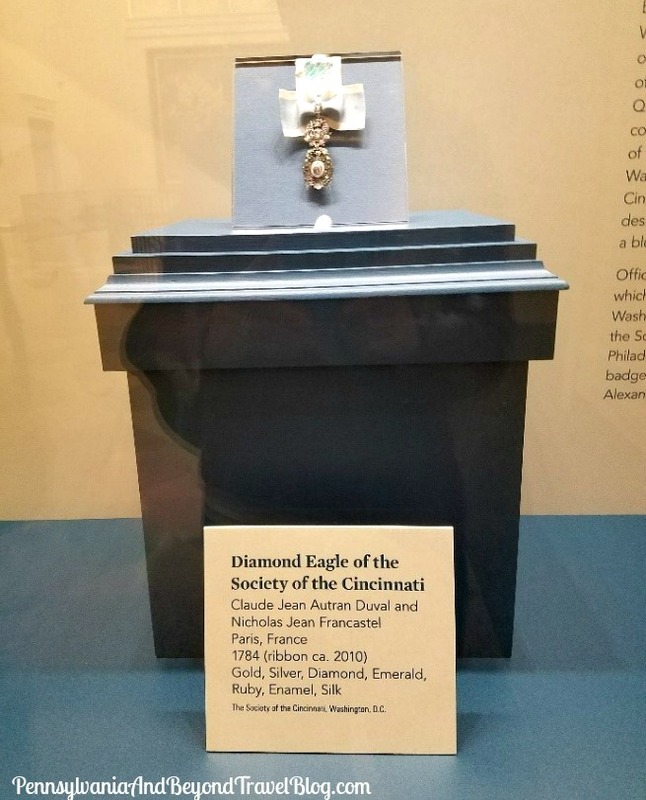 Washington's Diamond Eagle - What girl doesn’t love diamonds?! Encrusted with nearly 200 diamonds, emeralds and rubies, to see this medal glisten right before our eyes was magical. This was one of our “aha moments” of the day. 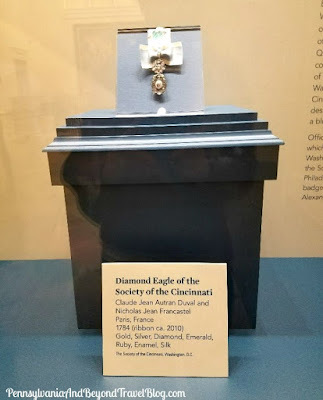 The Diamond Eagle was presented to Washington in 1784, just blocks from the very place that we were standing. We learned that it had been passed down and worn by every President of the United States and is currently 233 years old. This is the first time that it has ever been on display in Philadelphia and will be on exhibit until March 3rd, 2018. 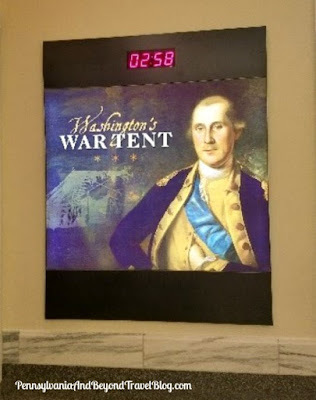 Washington’s War Tent - This 12-minute video exhibit (starts every half hour) clearly explained President Washington’s significant role in the Revolution and gave details about his house/office War Tent. You'll want to take time out of your visit to watch this short, educational video that will explain all of this in great detail. There’s a jaw dropping surprise near the end and was another one of our “aha moment”! I can’t spoil it, so go check it out. When visiting the Museum of the American Revolution you'll see and learn a lot! Admission tickets are affordable and can be purchased online or at the museum. You'll find plenty of parking nearby in the 7+ available parking garages and 3-hour street parking located right out front. You can visit the museum's website to learn more about the museum, get directions and their hours of operation. You can connect with them on Facebook and/or follow them on Twitter. 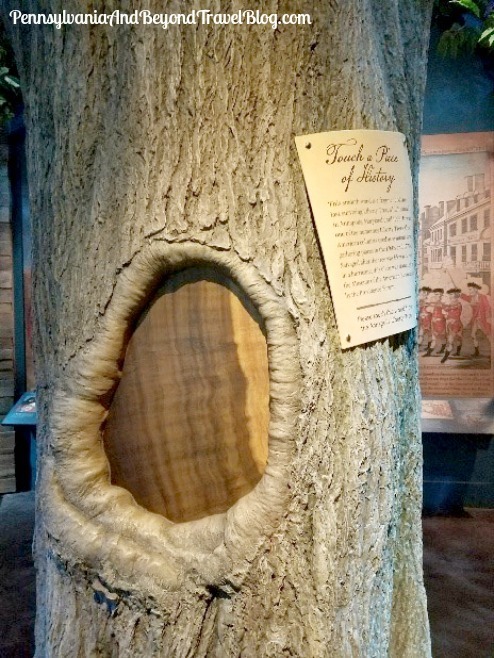 Disclosure: Jennifer Y. is a guest writer for the Pennsylvania & Beyond Travel Blog and was provided with 2 complimentary tickets to visit the Museum of the American Revolution. No monetary compensation was provided. Jennifer's words, thoughts and opinions are 100% her own.